How many times did it happen to you so that your phone battery got recharged at that very moment when you needed to make an urgent call or were waiting for someone to call you? Yes, cell phones became irreplaceable and essential part of our lives. We simply can’t imagine our life, our day and even an hour without it. And we get frustrated and confused when our cell phone gets recharged and we have no place nearby to revive it. We can’t judge whether it is good or bad. The reason that makes us feel so is our modern world of high speeds and technologies. But don’t worry now the problem with the telephone charge can be resolved. We’ve heard a lot about the solar powered cell phones that are going to appear soon and that will never do a bad turn on you and will not leave you without the connection with other people when you least expect this. Some cell phone companies have already created prototypes that will probably see the world very soon. 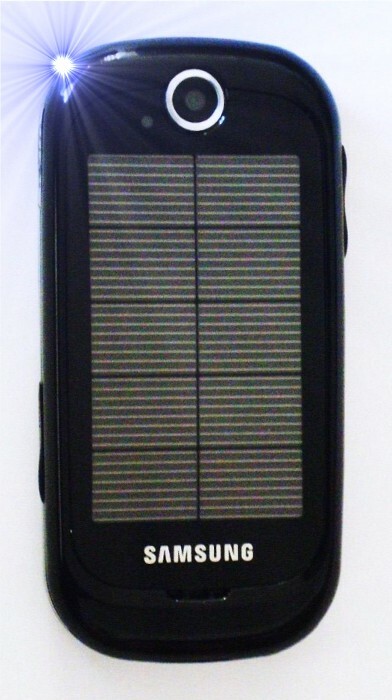 Others produce the cell phones which already have built-in solar charges and are available for GSM cell phone models. However until such phones become available for all we have an excellent opportunity to enjoy the benefits of the solar powered cell phone chargers that appeared on the market not so long ago. So, what is solar powered cell phone charge? This is actually the alternative to our ordinary electric charges that we got used to. These items use portable solar cells for charging the batteries and in some cases they can also be put into an electrical outlet. These charges go in different configurations like rotating and folding types and also in various shapes. In their production is used different types of solar cells that are the most suitable and affordable. Solar powered cell phone chargers are able to charge your mobile device already within six hours of their exposure to the sun what results in forty minutes of talk time. You should take into account that using solar powered cell phones or chargers, you actually not just give yourself the opportunity to stay in touch in any circumstances and get the benefits of the ability to charge your phone wherever you are, at any time and in any situation. You also contribute to the realization of the good idea of saving the electricity. Now, when you are more aware of the advantages of solar powered cell phones and chargers, you can make the right choice. Enjoy more of the opportunities with the help of the alternative solutions. Get more time for phone talks and save on your electricity bills. Just go with the times.